Developed by the acclaimed Digidesign® Advanced Instrument Research (A.I.R.) 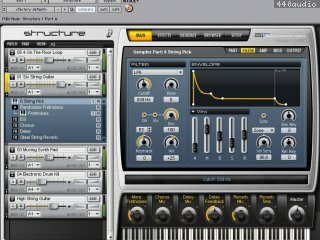 group and optimized exclusively for Pro Tools®, Structure is a powerful RTAS® virtual instrument that redefines the art of sampling, allowing you to freely create, sculpt, and refine everything from simple acoustic instruments to highly complex soundscapes with amazing ease — in real time. Structure comes with an extensive library of high-quality sounds from A.I.R. and EastWest, welcomes the use of your own sample libraries, and lets you create your own samples directly from your Pro Tools sessions via drag-and-drop. It also features an impressive universal sound engine with support for an unlimited number of nestable patches, optimally manages sample streaming along with Pro Tools playback, and includes a powerful multi-effects processing engine. ?Enhanced OS X 10.12 support. Cut off sample playback in OS X 10.12. Missing samples in Sonar Pro. Broken Sample fade in/out in ProTools. Play Page: Alt+click on range does not reset range fade. Play Page: Setup - alt+click sets different values then value on load. Edit Page: Dragging Samples from the browser into the mapping editor doesn't select the dragged samples. Mapping Editor: Zone does not show sample name. It is not possible to dismiss Structure dialogs via the Return/ Enter or Esc keys. Effect UI: Stereo Surround Panner - Setting Front/Rear to +100 does not position the yellow dot x/y control fully at the upper border. Browser: Preview Listen - Dragging a wave file to the patch slot should stop preview listen. Info bar has grammar error when missing audio file. Wrong tooltip in control assignment section. Right-click does not select zone. Odd behavior of selection buttons. Mapping Editor: A new created empty folder displays previously selected, Zone. Mapping Editor: Zooming with mouse wheel over zones. "Empty Patch" message is not displayed when 2 empty patches are loaded. 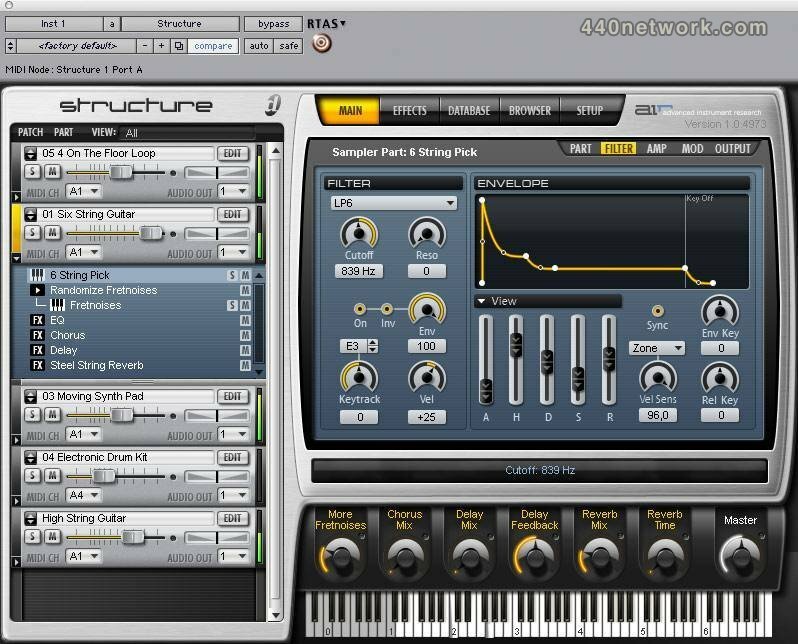 Updated to the 32-bit and 64-bit AAX formats, Structure 2.0 is fully compatible with Avid Pro Tools 10 & 11.